This AC adapter is an official Asus 230W power resource that is compatible with several models of Asus laptops. Perfect to replace your previous one if you misplaced it or it is damaged. Pick up the warranty of an official charger and avoid any compatibility issues. You can use our configurator by entering the exact model of your laptop. 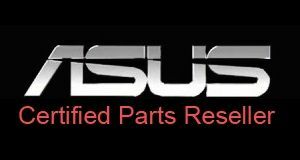 All Asus spare parts compatible with your laptop will appear from this request. Caution : Please search the charger regarding the model of your computer and not by searching the reference of your original adapter. If you have any questions about the product you want to order, or if you can't find the model of your laptop, do not hesitate to contact us to get some extra assistance.